1 Nigerian Institute of Journalism (NIJ) Announced The Resumption Date For 2018/2019 Academic Session. 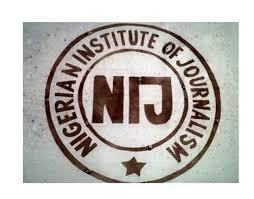 Nigerian Institute of Journalism (NIJ) Announced The Resumption Date For 2018/2019 Academic Session. This is to inform all students of Nigerian Institute of Journalism (NIJ) that the school authority has announced the resumption date for the academic activity, for 2018/2019 Academic Session. All New Students should be informed that for administrative reasons, the resumption of the 2018/2019 session has been postponed to Tuesday, 2nd October 2018. Be informed that the first week is set for WORKSHOP for National Diploma students (Full-time and Part-time) Registration will start from the 4th-5th October, 2018. Also you are expected to come along with the receipt of your tuition fee as stipulated in your student bill. The management has announced that Lectures will start on Monday, 8th October 2018. All students should note that any one who have not been interviewed for admission, should come to the Institution with your application form. Please Share With Friends On Facebook Using The Facebook Share Button.